This Policy is intended to reflect the content of Legislation including the Personal Health Information Act (PHIA) and the Personal Information Protection and Electronic Documents Act (PIPEDA) as well as Guidelines of the College of Homeopaths of Ontario. 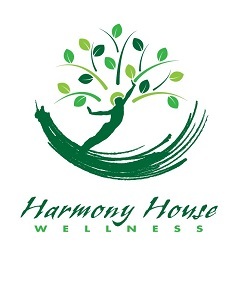 The Staff of Harmony House Wellness (HHW) will ensure the protection of the confidentiality of any personal health information (PHI) accessed in the course of providing patient care. We will only collect, use and disclose health information that is required for the purposes of providing care. Consent is implied for the collection, use, and disclosure of PHI for ourselves and to other health professionals accessed in the routine process of care of patients associated with this clinic. Written consent is required for PHI to be shared with a third party for reasons other than care and treatment. Consent can be withdrawn at any time. Consequences of denying or withdrawing consent will be made clear to the patient. All Staff are required to sign a confidentiality agreement. HHW will retain patient records as required by law, and regulation of the College of Homeopaths of Ontario. All charts are retained for a minimum of 10 years after the last entry, or 10 years after the patient has reached the age of majority. Requests for access to records can be made in writing to HHW. An estimate that reflects the cost of photocopying and the practitioner’s time for reviewing the chart, will be provided to the patient. If the individual requesting access is someone other than the patient to which the record refers, with the exception being the legal guardian of a minor, unless written consent is obtained from the patient naming the specific designated individual or third party. If the information could reasonably endanger the mental or physical health or safety of the patient to which the record refers, or any other individual. If the disclosure would reveal PHI about another person who has not consented to the disclosure. Requests to view the original record, having met the above requirements, will be facilitated with a staff member present to maintain the integrity of the chart. This staff member will not be able to answer any questions related to PHI recorded in the chart, but will only be present to ensure the integrity of the record. There will be a fee for this process. If the practitioner concludes there is a risk to personal health or safety that is grave enough to warrant breach of the patient’s right to privacy. E MAIL: All computer terminals are kept confidential by use of passwords, and any PHI that is sent or received via e-mail will contain a disclosure of confidentiality instructing the recipient to destroy the document and contact us in the event that is was sent to a non-intended recipient. POST / COURIER: All mail, by whatever method, is sent indicating confidentiality. HHW will use certified medical carriers whenever possible, and sealed envelopes. The medical records, photocopier and computers will be kept in areas to which the public is not granted access. Any mobile devices such as notebook computers, Palm Pilots or similar electronic items, as well as patient lists, notes etc. will be personally carried or password protected or physically locked. Patients will be treated only behind closed doors to ensure privacy. Corridor consultation between members of the health care team is discouraged and all verbal communication will occur in a secure area or without the use of names whenever possible.